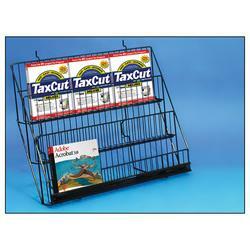 This tiered display rack mounts easily anywhere on you slatwall, letting you create your own display design. Each rack has three lipped tiers, able to hold several copies of most media, literature or software. Tiered design makes it easy to organize the products on display.